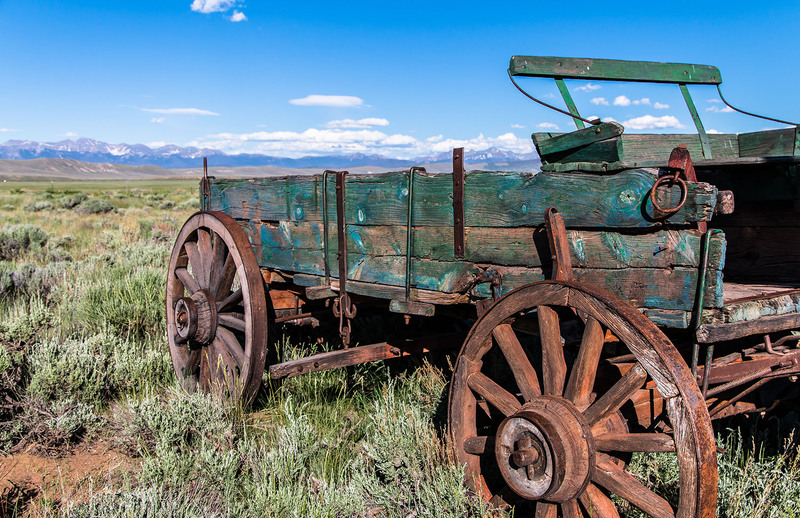 Driving through the area known as North Park, in the Colorado Rocky Mountains, I spotted this old, abandoned wagon just a little ways off the highway. The decades of its usefulness were long gone, but it was obvious that it had been well used through those years. There was just something about it that made you wonder about its history. Whose was it? What had been hauled with it? Just how long ago was it constructed? There were no answers, just the wind howling across the wide, open basin between the mountain ranges. Thank you!!! It was one of those amazing things just sitting out in nowhere. Very cool … love subjects like this! Thanks Denise! I agree. There is something fun in shooting things like this. So much character and so much nostalgia. Beautiful shot and insightful thoughts. Thank you for sharing.